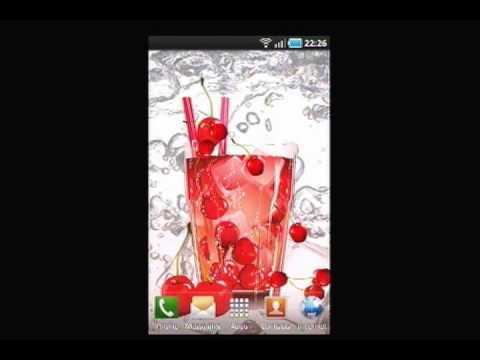 Animated Glass of Cherry Juice Live Wallpaper. Bubbly, cute, enticing, and delicious. Add an energetic pop to your phone as sassy as you. Watch the sweet and satisfies treat fizz and bubble around the cold ice cubes. With a glass adorned with cherries, this is a Shirley Temple delight. To set your new wallpaper, tap Home > Menu > Wallpapers > Live Wallpapers > Cherry Juice.